VOTE for your favourite egg design using either a “love”, “wow” or “laugh” reaction on the Great Denvir Egg Off competition post on the ‘Denvir Marketing’ Facebook page (https://www.facebook.com/denvirmarketing/). All other reactions will not be entered. Entrants should be aware that certain privacy settings on social media accounts may prevent Denvir Marketing from being able to see their vote and thus their entry from being registered, for which Denvir Marketing will not be liable. This promotion is open to UK residents aged 18 and over excluding employees of Denvir Marketing Ltd., their family, and any other person connected with this promotion. Competition entry from 12:00 17/04/19 to 23.59 22/04/19. Entries after this date will not be considered. Only one entry per person per social platform (Facebook and Twitter). No entries from agents, third parties or organised groups will be accepted. Winner will be selected at random, under independent supervision, on 23/04/19 at Denvir Marketing, Pavilion 1, Castlecraig Business Park, Players Road, Stirling, FK7 7SH. Winner will be contacted via their social platform of entry and announced on both the Denvir Facebook and Twitter accounts. All competition entrants and participants warrant, undertake and agree that the Promoter has the right to publish the entrants name on the afore mentioned social media channels, should they be drawn as the winner. Prize needs to be accepted within 7 days of the draw. If the winner does not claim the prize within 7 days of notification being sent, the Promoter reserves the right to re-draw and select a new winner (repeated as necessary until a winner can be contacted who takes up the prize). The Promoter is not responsible or liable for any entries that are lost or delayed due to faulty or failed electronic data transmissions. While any part of the prize can be removed at request by the winner e.g. for allergy reasons, no part will be substituted in to replace the removed item(s). The winner agrees to participate in any reasonable publicity required by the Promoter, without payment. Facebook Inc., Twitter Inc., BrewDog Plc., Growers Garden Ltd., Mondelez International Inc., (Cadbury’s), Refresco Beverages UK Ltd., and Paterson Arran Ltd do not in any way sponsor, endorse or administer this competition. As such, by entering the competition, entrants release all the aforementioned from any liability to the entrant which arises from their entry to this competition. By entering this prize draw, entrants agree to be bound by these terms and conditions and any other requirements set out in related promotional materials. The Promoter reserves the right to vary the Terms and Conditions or cancel the draw at any stage in the event of circumstances arising beyond its reasonable control. Any question concerning the legal interpretation of the rules will be based on Scots Law and the Scottish Courts will have exclusive jurisdiction. Promoter: Denvir Marketing, Pavilion 1, Castlecraig Business Park, Players Road, Stirling, FK7 7SH. Do not send entries to this address. Data Controller: Denvir Marketing, Pavilion 1, Castlecraig Business Park, Players Road, Stirling, FK7 7SH. Denvir Marketing, Pavilion 1, Castlecraig Business Park, Players Road, Stirling, FK7 7SH. To enter via the competition via Facebook: VOTE for your favourite egg design using either a “love”, “wow” or “laugh” reaction on the Great Denvir Egg Off competition post on the ‘Denvir Marketing’ Facebook page (https://www.facebook.com/denvirmarketing/). Following the recent launch of its refreshed identity, we could not be more excited to look back at the evolution of the McQueen Gin brand over the last two years. It’s Mother’s Day this Sunday (don’t say we didn’t remind you!) and to mark the occasion we’ve been searching for our favourite Mother’s Day adverts. Giving ‘Scotland’s Family Butcher’ more banger for their buck. At Denvir, we have a passion for brands. Building great brands: ‘One word’ of advice. We’re feeling pretty ‘optimal’ here at Denvir HQ, and the amazing results our SEO experts have achieved for our clients inspired us to share our top 5 SEO tips in this latest blog (other sources of inspiration may or may not include our copywriter watching the film ‘Everest’ last night). SEO What? Why and how to climb Google rankings. Denvir's montly bake off starts with Sammy's Galaxy Chocolate and Malteaser Tray Bake, including recipe for you to make it yourself. We love cake. Do you love cake? Inspired by the Isle of Harris itself, we developed a bold and modern visual identity, evoking the elemental origins of the product to capture the attention of the luxury candle audience. The time is near for, what is for many, the pinnacle of the Scottish exhibition calendar. Jaffa Cake: Cake or Biscuit Debate – Denvir Marketing National Biscuit Day Competition 2018 To enter, vote for either Cake or Biscuit by reacting with either a “haha” or “love” reaction on the original National Biscuit Day competition post on the ‘Denvir Marketing’ Facebook page. Brand Scandal: Are some too big to fall? To enter, vote for either Creme Eggs or Mini Eggs by reacting with either a “like” or “laugh” reaction on the EASTER COMPETITION post on the ‘Denvir Marketing’ Facebook page (https://www.facebook.com/denvirmarketing/). International Women’s Day has never been more relevant than in 2018. For the vast majority of people in Europe, or anywhere outside North America for that matter, telling them that this Sunday sees the climax of the professional American Football season will mean very little. On behalf of all the Denvirites we hope you have a fantastic Burns Night (or Happy Haggis Day as we call it). There is nothing quite like Christmas for bringing family and friends together. “They don’t make ‘em like they used to.” Well, they do actually. Why retro marketing will never go out of fashion. Last Thursday was a biggy for us creative sorts. Catch of the Year 2017: 3 Scottish Creative Awards! The days of surviving by simply having a website are gone. 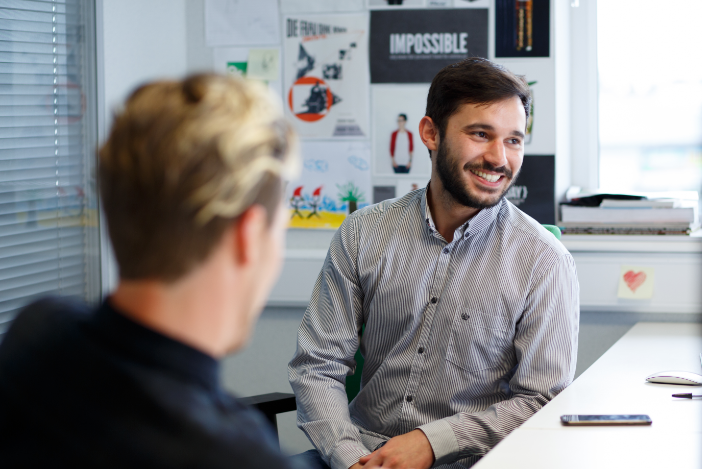 Hussain is one of our creative gurus here at Denvir, working in the creative design team as a junior designer and one of our go-to guys for everything from brand identity and website designs to social and video to collateral for experiential events. A day in the life of a Denvirite. We’re losing touch with reality. Unreal Marketing! The dawn of VR. It was all systems go for the Denvirites last week, as one of the biggest events of the year was upon us, and months of planning and preparation came to life in a huge four-day promotional party! You can’t win, if you don’t Show up! After running many successful sampling tours for Tesco Scotland, Tesco Northern Ireland (Tesco NI) approached us to organise similar events in stores across Northern Ireland. We recently wrapped up the Irresistible Family Favourites campaign with Galloway Cheddar where its popular TV adverts were brought to life through engaging experiential and social activity. Did you catch a glimpse of Denvir orange in the March issue of Scottish Business Insider which is out now? Being an integrated marketing agency, Denvir creates, develops and executes marketing campaigns across the whole marketing mix and our Brand Ambassadors play an essential role within this. January 2017 has been an exceptionally busy month with retail activity taking place across the country. Burns Night is a key event in the Macsween calendar and the team wanted to ensure that they made the most of it with an interactive experiential event taking place across Morrisons stores in Scotland. 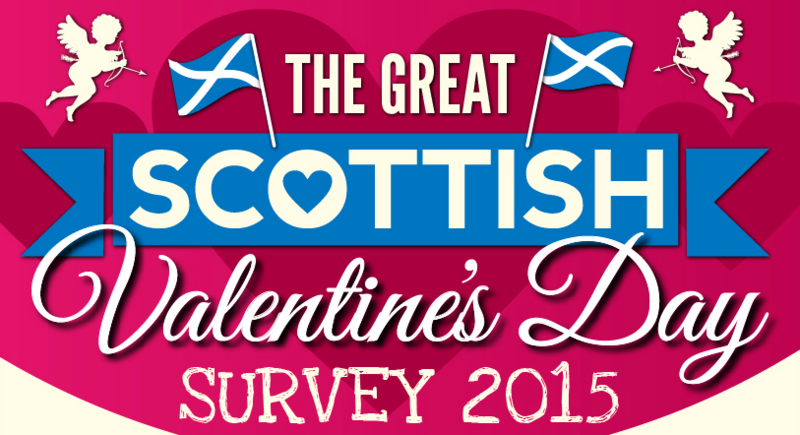 Everybody loves Macsween’s Hamish the Haggis! Haggis is the infamous Scottish Burns Night staple, and we worked with Simon Howie to promote both its Original and Vegetarian Haggis’ alongside three additional Scottish brands across 24 Morrisons stores. Over the course of the festive period we asked our friends and clients to get their creative juices flowing and share their #RecipeForSuccess with us through the Denvir Gingerbread House Challenge. Every creative has a metaphorical bottom drawer of old ideas that never came to be. The eighth annual Tesco Taste Festival landed in Custom House Square last month with a bigger bang than ever before, with more than 25,000 consumers attending over the weekend. Come and join us for a friendly and relaxed chat about your favourite healthy snacks, food and drinks, and the best bit is you’ll get paid for your opinion! I never thought I would find a place that drinks as much coffee (and tea) as me. At Denvir, we were delighted to show our support for Stirling’s City Deal bid with Invest in Stirling this week through proudly signing the Stirling Pledge! At Denvir, our excellent team of brand ambassadors are at the centre of our busy events calendar and we’re now looking for more enthusiastic, energetic and sociable people to join us in creating >GREAT brand experiences for our clients. Prioritising partnerships in today’s market is a fantastically effective strategy for reaching new audiences, increasing brand awareness, making budgets work harder and most importantly gives you a chance to get even more creative. Now the Denvirites have (almost) recovered from another brilliant Royal Highland Show, we’re looking back on some of our highlights. As Wimbledon approaches, tennis fever is taking over Britain once more. Over the past six weeks, we have been busy working with Highland Spring on the Anywhere for Tennis experiential campaign across the UK in Tesco and Sainsbury’s. The Royal Highland Show is truly the premier fixture in Scotland’s farming and agricultural calendar. But it could be greater than great > 500 Happy clients > 10,000 successful campaigns > 13 years of making brands >GREAT We’ve been bursting with excitement and we just couldn’t keep it in any longer! Denvir is very pleased to announce that we have appointed a new Managing Director with the remit of developing our offering across our digital and business services. • Would you like to win three free days of Denvir marketing expertise for your business*? The 7th annual Tesco Taste Festival kicked off in style last Friday, with a well-attended VIP reception and a surprise appearance from the Belfast City Gospel Choir, who had organised a special flash mob performance of ‘Food Glorious Food’ for the occasion. Fostering mutually beneficial relationships with your retail buyers is vital for the success of every food and drink brand. Aberdeen has had its fair share of doom and gloom of late, with the continual drop in oil prices, operators and suppliers cutting back and everyone feeling the pinch – even local restaurants have expressed their struggle to stay on track. To drive strategy and identify opportunities for growth in a changeable market place, businesses must adopt a customer centric approach. How can PR benefit a business in a challenging market place? to shout or not to shout? that is the question! Denvir’s Aberdeen office celebrates its second birthday Any birthday is important, it signifies another year of experiences, lessons learnt and skills built-upon, which is exactly what our Aberdeen team have been doing over the last two years. We are absolutely thrilled to announce that Scrabster Harbour has decided to join the Denvir family on a more permanent basis. Engaging with people, passers-by or complete strangers isn’t an easy job. In today’s increasingly globalised world it is important to make informed, efficient and effective business decisions to stay ahead in any industry. 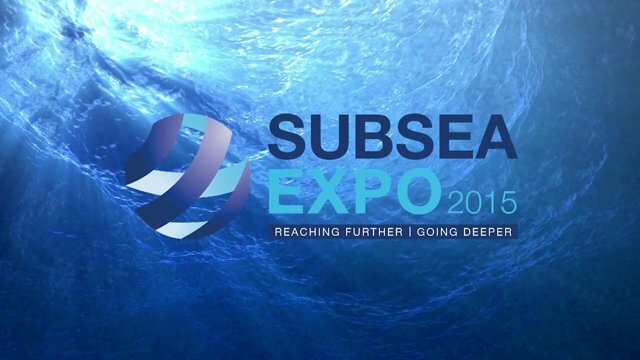 Subsea Expo 2015 Aberdeen Conference and Exhibition (formerly Subsea Conference and Exhibition) is held annually at the AECC (Aberdeen Exhibition and Conference Centre) and is organised by Subsea UK. TODAY is the day when lovers throughout the nation look lovingly into one another’s eyes and whisper sweet nothings into each other’s ears – or so we are led to believe. With the announcement from the IMF (The International Monetary Fund) of a reduced forecast for economic growth in 2015/16, businesses will be reviewing spend, looking to maximise opportunities and get the best return on investment. 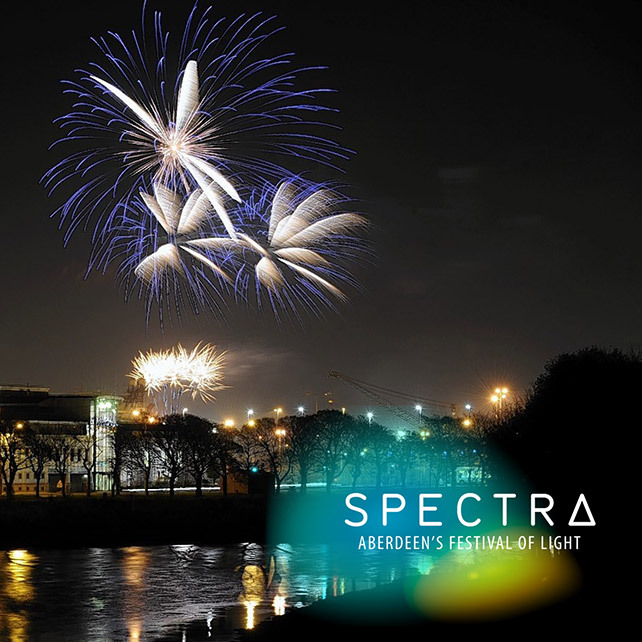 At Denvir Marketing we have been working hard to promote, market and create a buzz around this year’s SPECTRA, Aberdeen’s Festival of Light. When meeting a new client, we are often asked to give them more insight in to different areas of their industry. With crowdfunding firmly making its way onto the mainstream finance map, investment just got personal, and sometimes a little wacky. 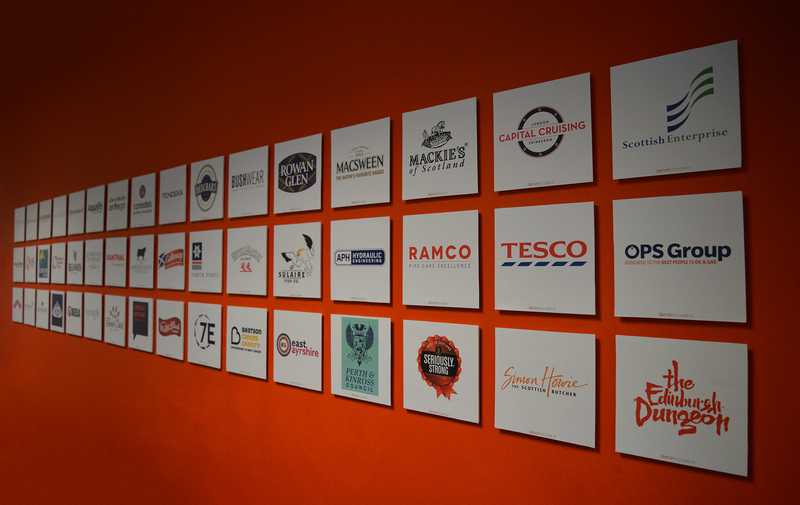 At Denvir Marketing HQ we have been working with Tesco for more than twelve years,’ promoting its range of much loved Scottish suppliers. Denvir has once again been appointed by Tesco to deliver its annual Burn’s experiential tour. Here is the first news update for the week: Scottish food and drink: Scotland ltd report from Grant Thornton New research from Grant Thornton has highlighted the strength of Scotland’s food, drink and leisure sector. 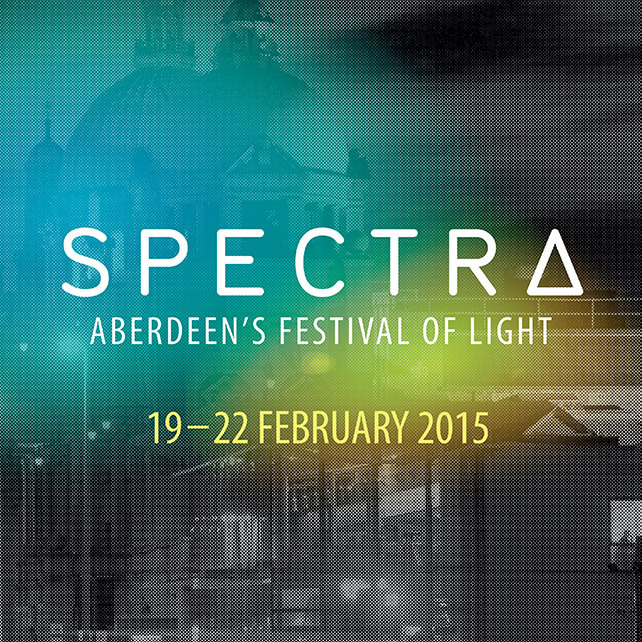 We are delighted to announce our appointment by Aberdeen City Council to execute a dynamic marketing campaign for the Festival of Light event ‘SPECTRA’ which returns to the city in February 2015. The year of Year of Food and Drink is a chance to spotlight, celebrate and promote Scotland’s natural larder and quality produce to Scotland and all its visitors. Great press releases do more than keep the media and the industry at large informed of your company’s recent developments. We have been celebrating the news that our Regional Director for the North East, Jane Maher, has made it on to this year’s Aberdeen Business News 40Under40 list. Our events team has been pulling out all the stops to organise some of the best and most successful client events over the past few weeks. Exciting news for the team, as Denvir becomes Investors in People (IiP) accredited, confirming our commitment to people and their development. 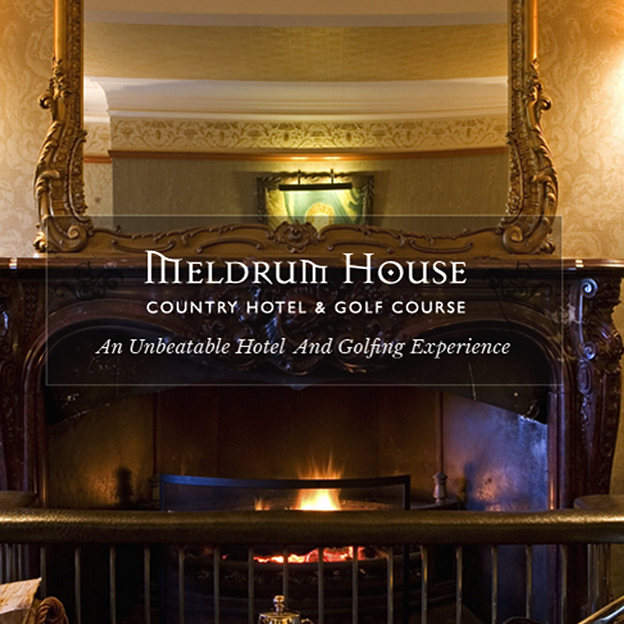 We are really excited to have launched a stunning new website for the luxury country hotel and golf resort, Meldrum House. At Denvir Marketing we are passionate about what we do. We are really proud to be supporting the upcoming Press and Journal Energy Ball which takes place at the AECC on 4th Oct.
We are delighted to have been selected as a finalist at the upcoming Scottish Chamber Business Honours 2014, within the category of Business of the Year (Under 25 Employees). Denvir has been awarded the prestigious Investors in People accreditation, reflecting our strong commitment to staff learning and development across the team. Further to developing the annual marketing strategy for global oil and gas recruitment specialist OPS Group, Denvir has recently launched a new brand identity and marketing campaign to support the business achieve its global growth strategy through its key locations in Aberdeen, Dubai and Perth, Australia. Denvir has launched a new brand identity and corporate website for the world’s leading fish vaccination specialist, Aqualife Services. Aberdeen-based procurement specialist GOT has appointed Denvir as its strategic marketing agency, firstly to develop the branding, and further ahead to roll-out a fully integrated marketing campaign to support its growth within the global energy market. The Fraserburgh-based fresh fish exporter, French Fish Export, has appointed Denvir to develop its new consumer facing brand, Jack Taylor. Aberdeen’s premier country house and golf resort, Meldrum House, has appointed Denvir to develop a clean, fresh and engaging website to elevate its positioning and attract new guests to visit the award winning facilities. Specialist industrial cleaning services company, MSIS, has appointed Denvir to provide a ‘plug and play’ marketing service in support of a strategic repositioning project which will see the business raise awareness of the need for specialist cleaning services as well as building awareness, understanding and engagement within key target sectors to support sales. Plant Integrity Management (PIM), a leading provider of integrity management for the oil industry, has appointed Denvir to deliver its marketing and PR plan as an extension to its in-house management team. The first quarter of 2014 has been a busy one for the Denvir team with a whole host of new clients including Aberdeen Angus Cattle Society, MSIS, GOT, Meldrum House, Industry Technology Facilitator (ITF) and Innis & Gunn, plus we have already notched up some prestigious awards including Best Sales and Marketing at the Forth Valley Chamber of Commerce and shortlist slots for three Recommended Agency Awards (RAR) – best on-budget, events and market research – which will be announced later this month. 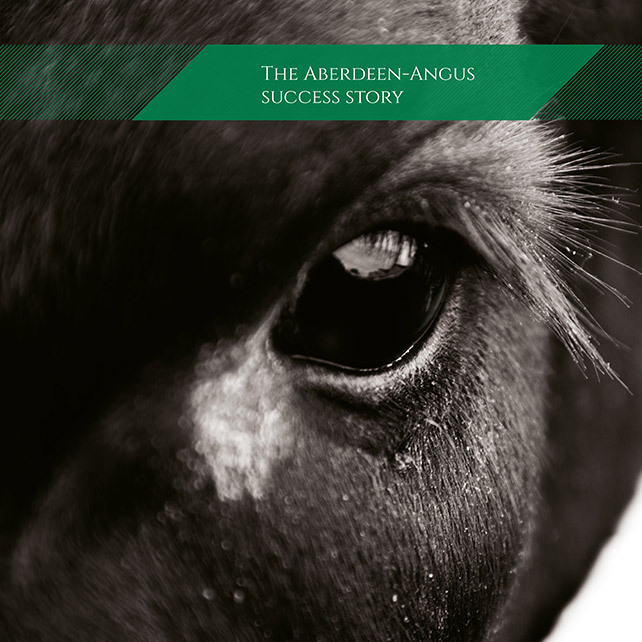 The Aberdeen Angus Cattle Society has appointed Denvir for a strategic brand refresh which will support the organisation reinforce is position as the world’s finest beef breed. We are delighted to have been shortlisted in the Market Research, Events and On-Budget categories at the forthcoming 2014 Recommended Agency Register (RAR) Awards, which take place later this month in London. We are delighted to announce that we have won the Best Sales and Marketing category at the Forth Valley Chamber of Commerce Awards which took place last night (13th March 2014) at the Inchyra Hotel, Falkirk.